Why do you race? I started doing running road races in 1993 with a Veterans Day 10k, and have been racing ever since. 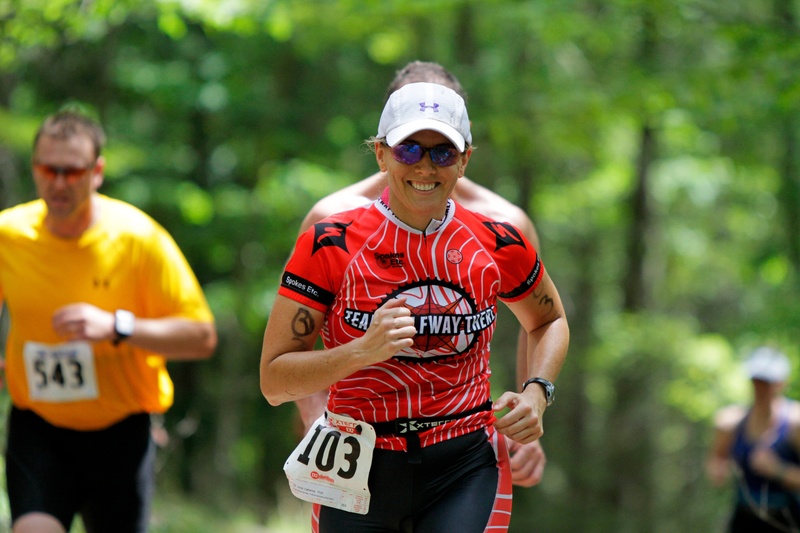 10k’s led to triathlons and marathons and eventually to trail running and adventure racing. I love having the motivation and challenge of a race goal ahead of me. How did you come to AR? I naively signed up for Ex2’s Venture quest in 2003, having never been on a mountain bike and no idea what I was getting into. How did you come to THT? I met some of my teammates through mutual friends and loved the idea of meeting up with the teammates regularly to motivate and inspire each other… that and I thought the one with the hair was hot. What do you like about THT? The people on the team are a great support network, and are really fun to be around. Training with people who make you smile and laugh make the work well worth it. Something you’ve learned through AR that you take with you beyond the race course? Facing life’s challenges can often be best attacked by sitting back in the saddle taking your best direct line. Except a deer carcass on the highway, I learned the hard way that cars don’t handle like mountain bikes going over those. Just saying…. Favorite piece of gear? I absolutely adore my Specialized Epic 29 Carbon Comp. I would ride that bike every day if I could. LOVE, LOVE, LOVE the big wheels!